"w3geeks a bunch of professionals, truly deserve to be called tycoons in the field of software/website development in Pakistan. Throughout my interaction with them which spanned more than 3 months I found them to be highly hardworking, honest, creative and always ready to go the extra mile for perfection in their work. From design to development stage there was not a single moment where they were not available to address my queries or concerns. Thumbs up w3geeks for your dedication and devotion in serving your clients. Keep up the good work!" 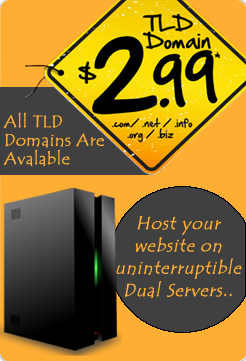 "I am happy with the services w3geeks are providing me. They are very professional at what they do and I recommend their company to everyone." "This is for w3geeks programmers team who worked on fox and fiddle. All you wonderful guys have worked really hard to get this site live online. I really appreciate your dedication and commitment towards my projects. Keep up the good work. "Nutra Farm tried many Software Development companies but we picked w3geeks for their excellent customer serivce, prompt and business like approach. Their developers and staff understood our requirements quite well and helped us achieve what we wanted to do. The assistance and support we received was excellent which is important for a long term relationship. Special thanks to Mr. Asim and Mr. Onais for their dedication to their work which clearly shows quality. As Nutra Farm expands, we'll continue to partner with w3geeks not only in Software Development but other business needs. "Motivation, Dedication and Enthusiasm towards the work are the key success factors for any firm and w3geeks possesses all of them. From Day 1 , team aishtycoons started delivering innovative ideas to smartly built my new Content Management System based website to help flourish my business. They always shared creative ideas, gave positive and negative feedback and implemented the best work out of each cluster of ideas. As a CEO of Amna Garments, I strongly recommend and appreciate their work." 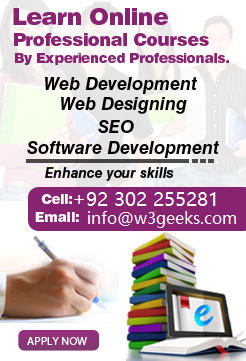 "w3geeks have done great job in the year 2012. We wish them more success and prosperity in the years to come specially in 2013"
I am fully satisfied by the services of w3geeks. They fully meet the expectation. I really appreciate them on their creative and innovative work. 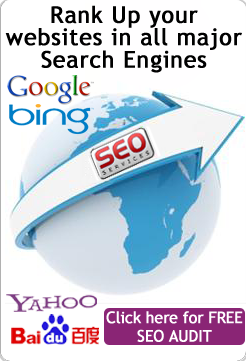 The work you did for us so far not only reflects your professionalism but also your in-depth knowledge and skills about the SEO and web development. Moreover, your attitude and behavior during short span of working relationship with us was also exemplary which is very rare in our part of the world. Once again it is very nice having your services in our project and as soon as we restart it formally you would be the first one in Pakistan to whom we would be requesting to join us again. I was very impressed by the eagerness to help and understanding of all the things I wanted out of the website. I'd recommend w3geeks to anyone looking for a professionally designed website.